From political to whimsical, a half-century career in ceramic art – J. This year is the 50th anniversary of several important events — the Summer of Love, the Six-Day War and the release of “Sgt. Pepper’s Lonely Hearts Club Band” by the Beatles, to name three. It also marks 50 years since multifaceted ceramic artist Susan Duhan Felix arrived in Berkeley, launching a half-century of creative production and support for Bay Area arts. Originally drawn to ceramics to make useful things for her home, Felix later became known for ritual objects, often inscribed with Hebrew phrases. A recently completed candelabra, for example, has the word “light” in Hebrew on one side and in Arabic on the other. 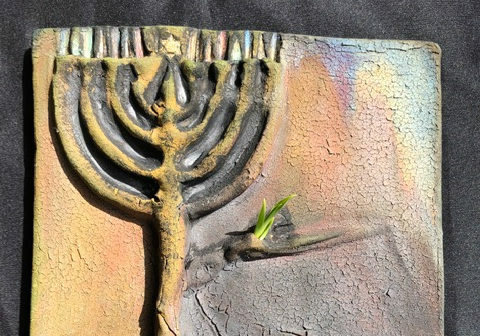 The centerpiece of the exhibit, a triptych called “Creation,” combines Hebrew calligraphy with ceramic wall plaques in her signature, pit-fired style. They convey something timelessly ancient and utterly modern, rising above the utilitarian foundations of ceramic arts. Felix, who will turn 80 on July 23, surely lives by her creed. Introducing the collection, GTU library gallery curator Nicholas Ukrainiec said that Felix was selected for the show because of “the variety, humanity and deep spirit” of her art. An example of Felix “whimsy” in the show is her “Beatle Bells,” tiny sculptures of the four Beatles that also function as ceramic bells. She sold many at art fairs during her early years in Berkeley. As the Summer of Love morphed into the Watergate era, she expressed her political concerns with cups and plates that bore the imprint of daily headlines from the San Francisco Examiner. But she also felt a calling to create in clay the sacred objects of her Jewish forebears: prayer cups, menorahs, bowls for washing and holding. 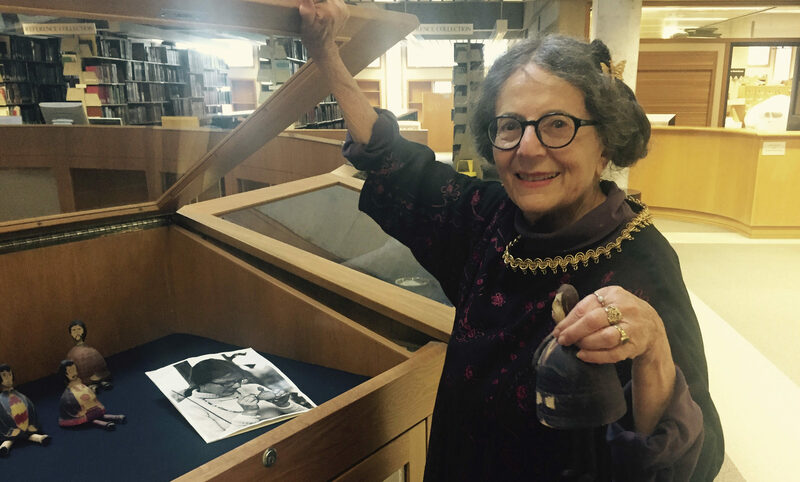 As her engagement with Judaism grew through the decades, she would found the Jewish Arts Community of the Bay in 1979 and serve as its executive director from 1989 to 1991. She had a solo show at the Judah L. Magnes Museum in Berkeley in 1986 and has a piece in its permanent collection. 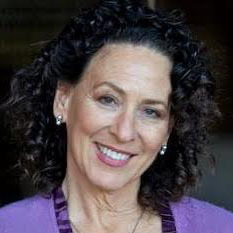 Moreover, she has works in the collections of some highly regarded Jewish institutions: the National Museum of American Jewish History in Philadelphia, the Skirball Cultural Center in Los Angeles and the Jewish Museum and Tolerance Center in Moscow. In 2007, she had a solo show at Hebrew Union College Museum in New York, and in 2012, a retrospective of her Jewish-themed works showed at the Jewish Heritage Museum in Danville. This new show, however, is her first retrospective covering all the periods of her career. 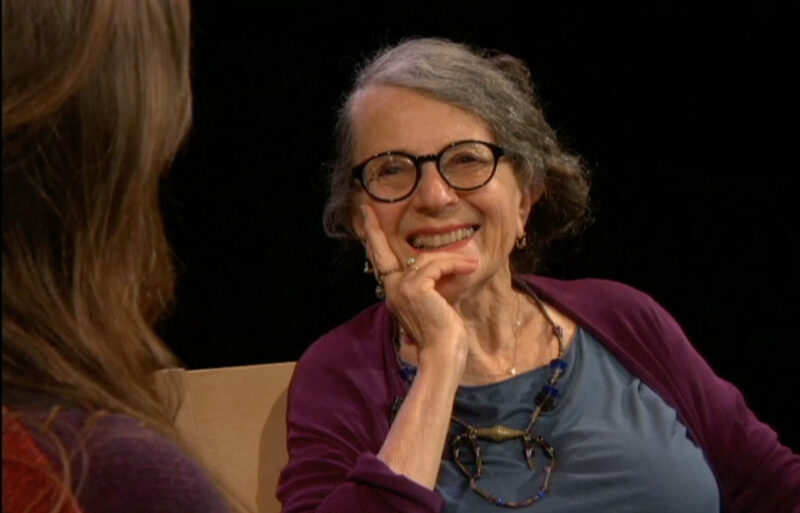 Much of Felix’s work has never been seen publicly, particularly her production since the 2012 death of her husband, psychologist and poet Morton Felix. Peter Selz, a professor emeritus at UC Berkeley who specializes in art history and a one-time curator at the Museum of Modern Art in New York City, helped Ukrainiec select the works from Felix’s private collection at her colorful North Berkeley home. Born and raised in Queens, New York, Felix first was drawn to poetry, and she also loved to dance. She earned a bachelor’s degree in English at Queens College and had just completed a master’s degree in spiritual poetry at the University of Connecticut when she had her fateful meeting with the medium of clay. To settle her craving for handmade ceramic dishes that she couldn’t afford, she enrolled in a local ceramics class. Although she began a doctoral program in English at Brown University at 21, Felix’s attraction to clay stole her nights and free time, and she soon left school. She took night classes at the Rhode Island School of Design and a summer workshop at the Rochester Institute of Technology, achieving early success with her production. By the time Felix, her husband and their 8-year-old daughter, Lisa, moved to Berkeley, ceramics was her intended career. 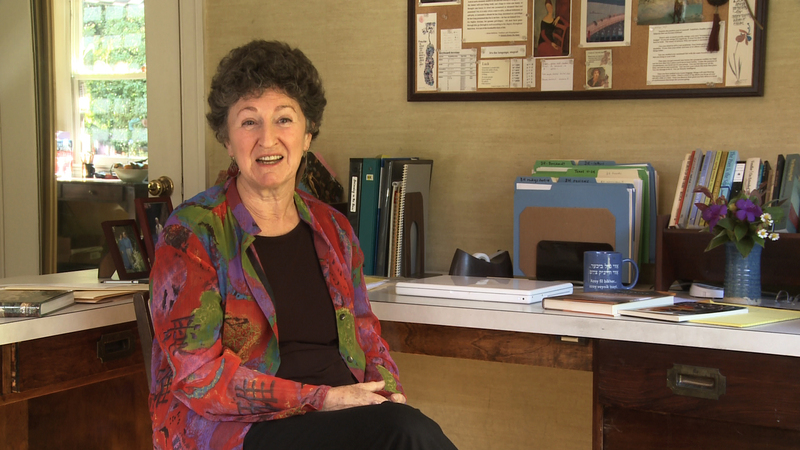 In Berkeley, she joined the Arts and Crafts Cooperative, teaching classes there until 1979. Then in the 1980s, she experimented with a technique called pit firing, the original method for baking clay objects that dates back some 30,000 years. In this method, the artist makes the vessels, but the coloring or ornamentation is left to the interactions of the elements in the pit — salt, powdered copper, sometimes iron — with the fire. During the long, overnight process of firing and cooling the pieces in fire pits on the beach, she would gather with her students, dance, talk and drink wine until dawn. Felix still writes poetry and still dances. One of her joys is to trade a ceramic piece for one-on-one dance time with the famed Bay Area dancer-choreographer Anna Halprin, 96. Felix also has served for the past 13 years as Berkeley’s arts ambassador, which she described as “the world’s greatest non-paying job.” She radiates health and happiness. That said, she has decided it’s time to clear the decks: Everything in the exhibit is for sale. But for buyers and non-buyers alike, the takeaway from the exhibit will be clear. “Creation: A Susan Duhan Felix Retrospective.” Through Aug. 15 at Graduate Theological Union, 2400 Ridge Road, Berkeley. Exhibit tours: with artist Nancy Katz at 4 p.m. Aug. 8 and with cantor-singer Linda Hirschhorn at 3 p.m. Aug. 12. Free. gtu.edu/library.